Are you ready to receive the Torah this year? Shavuot or Pentecost as the western world refers to the Holiday is also called Matan (Gift of the) Torah. Are you receiving the Torah? Do you ever ask why is the Torah a gift, if it is a list of Commandments? Do you understand the difference between giving and receiving? Do you know the difference? Do you live the Torah yet? Both the Book of Numbers and the First Parasha in that Book is called Bamidbar! Can you guess why? Lets look at the word Bamidbar in a permutated manner. For a complete view of the permuted word Bamidbar write to yeshshem@hotmail.com and i will send you a excel spreadsheet with the complete Bamidbar permutation explanation. Bamidbar means in the desert. Included in this word is the word Daber which means word, thing, or matter. The Mem that is acting as a prefix means From. The Bet that is acting as a prefix means In or with. Therefore another understanding of the word Bamidbar is "From the Word with". This leads us to ask two questions 1) "Why is the word Bamidbar referred to as "the" desert with the definite article? Is there only one desert in the world? 2) in the translation "With the Word from" (In Hebrew the translation can be in either way), what is being referred to? To understand this clearly we need to know that, in Torah we are supposed to break words into their component letters. This should help you understand this translation of the word Bamidbar. Of course most people and sages will say the desert is the Sinai Desert where the People walked for 40 years during the Generation of the Desert after the Exodus from Egypt. This leads to another question about the meaning of Sinai. This email is too short to properly answer this question so i will leave it to your own investigation. Returning to the above translation of Bamidbar, when it refers to "The Word" most people and sages would say it is the Torah, which our sages teach is all one Name of God. Therefore the word referred to above is The Word - The Torah. So what is the spiritual meaning of this understanding and translation? The word after Bamidbar in the Torah Scroll is Sinai which has a Gematria of 130. 130 is ten times 13. 13 is the Gematria of Echad which means One. What we learn from this is the Book of Bamidbar is teaching US that the Torah is explaining "With Unity, comes the Word from HaShem". This means that when we are in unity with others we can receive the Goodness and Pleasure that is Ours from the Beginning of Time. Without Unity we create chaos. With Unity we receive pleasure. The Choice is ours! The stories in the Parasha of Bamidbar are about counting the Children of Israel by Tribe. What is most amazing is that this portion is revealing the science of Astrology. There are 13 Tribes. One was tithed (donated as Charity) to HaShem (The Tribe of Levi) as Jacob vowed after the "dream of the ladder" to give 10% to HaShem. The other 12 relate on a "one to one" basis to each of the Zodiac signs. Please note that Astrology as taught by the Western world is a corruption from the teachings of Abraham in the Sefer Yetzirah. Hebrew Astrology teaches you about your Tikune (corrections). It answers the question "What is your job/role in this world?". It does not talk about what will happen in the future because that is discussed in the Books of the Prothets and the other writings in the Tanach (Bible). If you are interested in learning more go to the yeshshem website or write to me. As always this information is made available free of charge. I would like to share with you an additional understanding of the dots over the word VeAaron in Chapter 3 Verse 39. The spiritual rules regarding dots relate to 3 possibilities. One of the possibilities is when the dots over the letters of a word are less than the number of letters without dots. Two is the opposite. The number of dots are greater than the number of letters without dots. Three is when there are dots over all of the letters of a word. In the third case , which is the case here. we are taught to look for something missing with that word. In this case Aaron is missing from the census of the Levites. Aaron and his family as well as Moshe are descended from Levi Ben Yaacov. This means they should have been included in the count / census from the Tribe of Levi. This is a physical effect. What is the spiritual meaning of this teaching? Don't mix different energies especially right and left column energy. To explain this teaching more clearly read here: Right (sharing) column and the Left (receiving) column of the Tree of Life. The Tree of Life is a code word in Kabbalah which refers to the picture or glyph of the 10 Seferot. Aaron is a Cohen (Priest) which is a chariot for right column. Levi is a chariot for the left column. Both have roles in the service of the Temple and within the role of the Children of Israel and also within the 70 Nations of the World. Each nation has a spiritual task. Each Nation is either a Right or Left Column Nation except the Children of Israel who have the spiritual task of being the Central Column Nation. The Children of Israel are taught to not mix their spiritual energy between male and female (another example of right and left columns) as well. This is the spiritual reason behind the Halacha to not marry someone who is not of the Children of Israel. Of course many people do not know this Halacha and they should also know that in our generation, while it is not recommended, it is considered part of God's Plan (Thought) of creation. Let's expand this statement a bit. In all aspects of the creative process we utilize the 3 energies of Sharing (Right), Receiving (Left), and Balance (Center). When the Temple service is physically active. The Levites would sing (bringing joy and happiness to people) in the Temple while the Cohenim (Priests) would do the actual work of the sacrifice. The Jew who brought the sacrifice acted as the central column - the balance column. (He did that by having the proper consciousness regarding Tshuva and a Desire to get Closer to HaShem). Kabbalah teaches the role of the Childrren of Israel is to act as the central/balance column with respect to the other 70 nations of the world. If we were to mix the Cohen and Levites we could not keep balance within the Children of Israel and also within the Nations of the World. From World History we see that we have not been doing a good job anyway. Consider, what the world would be like it if we could learn this spiritual lesson from these dots. There are 30 spaces in this Parasha. 30 is the Gematria of the letter Lamed. This letter also is a word that means teacher. This is another indication of the concealment of the Hebrew Astrological knowledge in this parasha. In fact an interesting aspect comes in verse 17 in chapter 2. The translation of this verse is: Then the tent of meeting, with the camp of the Levites, shall set forward in the midst of the camps; as they encamp, so shall they set forward, every man in his place, by their standards. In the Torah Scroll, this verse is the only verse that has a space before it and after it in the Parasha this week.. It is talking about the center of the Astrological system. It talks about the Levites and the Tent of Meeting and then it talks about each man having a place by their banners or flags. These are code words dealing with Astrology. The spaces in the Torah represent the protection of Hashem. Astrological influences impact people both positively and negatively. The reading of this verse with this understanding protects us from the negative impacts of the Astrological effects. There are other Kabbalistic tools active and available to use on Rosh Chodesh that protects against negative Astrological effects as well. Of course one needs to know what these tools are and ulilize them to make them active in one's life. The science of Astrological influence is a difficult concept to reconcile with a Monotheistic Creator. This is because if future events are predetermined by the stars why should someone try to improve themselves? Why should someone behave ethically and/or morally, if the future is already known? This is a physical interpretation. It does not deal with the Spiritual Law of Cause and Effect. This law is beginning to be explained by Modern Science which postulates (Torah is certain) that there are infinite possible universes. In some of these universes,(using myself as an example) i exist as Me. In other universes i do not exist as Me but as another physical body. In other universes i don't exist at all. Some of these universes have a greater amount of chaos than others. Some of these universes have no chaos. Within a given universe the future is already determined. Yet, we can choose a different universe giving us a different determination. How do we change universes it The question. How do i choose a universe with little or no chaos? This is what Kabbala teaches - How to use the Tool of restriction to achieve a less chaotic universe which means a less chaotic life. Future events are already determined but we can change them through the tool of restriction. Understanding these teachings is what the study of Kabbalah is all about. Please start your study with the Zohar and reciting the Ana Bekoach daily. This will assist you to move forward in your spiritual work more easily. If you were a Rabbi living at the time of the Temple how would you explain this to your parishioners? It is difficult even for a mind educated in the 20th and 21st Century to understand. This is the reason that most religious people are taught to stay away from Astrology. And Kabbalah agrees. 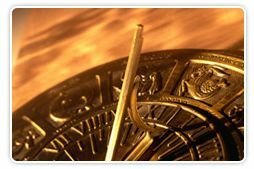 Stay away from Western Astrology because it rarely teaches you how to change the Astrological influences. It rarely teaches you How to protect yourself from negative Astrological influences. Hebrew Astrology does teach these things. The spiritual law is this: If you are not conscious of the astrological influence you will still be affected by it. If you are conscious of the astrological influence you can choose to change it. The choice is yours. I hope you will choose to learn so that you can be conscious of the influence and help yourself to remove the negative influences in your life that we call chaos!